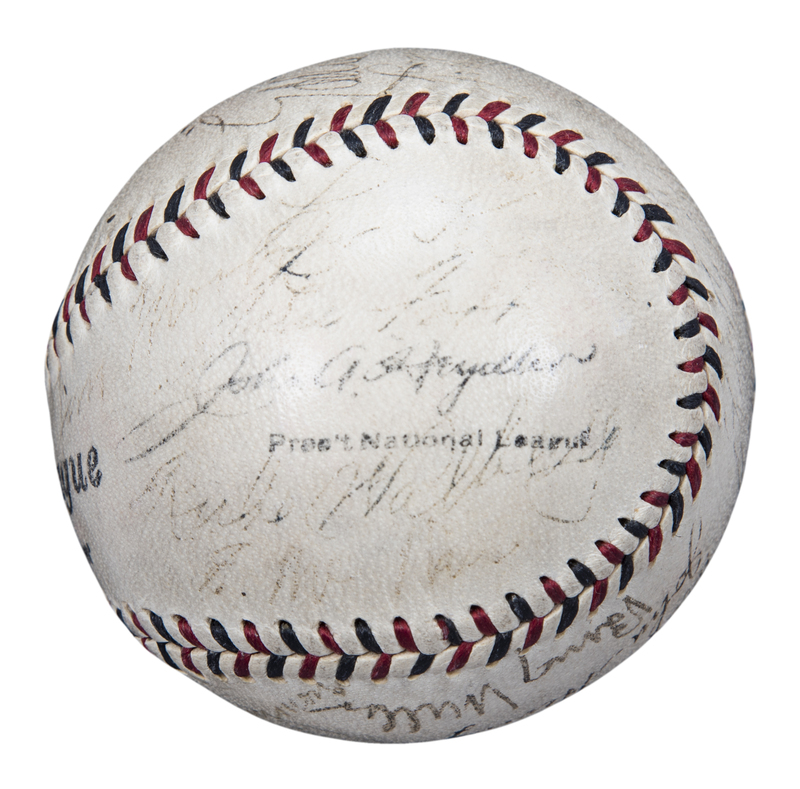 This Official National League John A. Heydler baseball has been signed by 25 members of the 1931 American League champion Philadelphia Athletics. 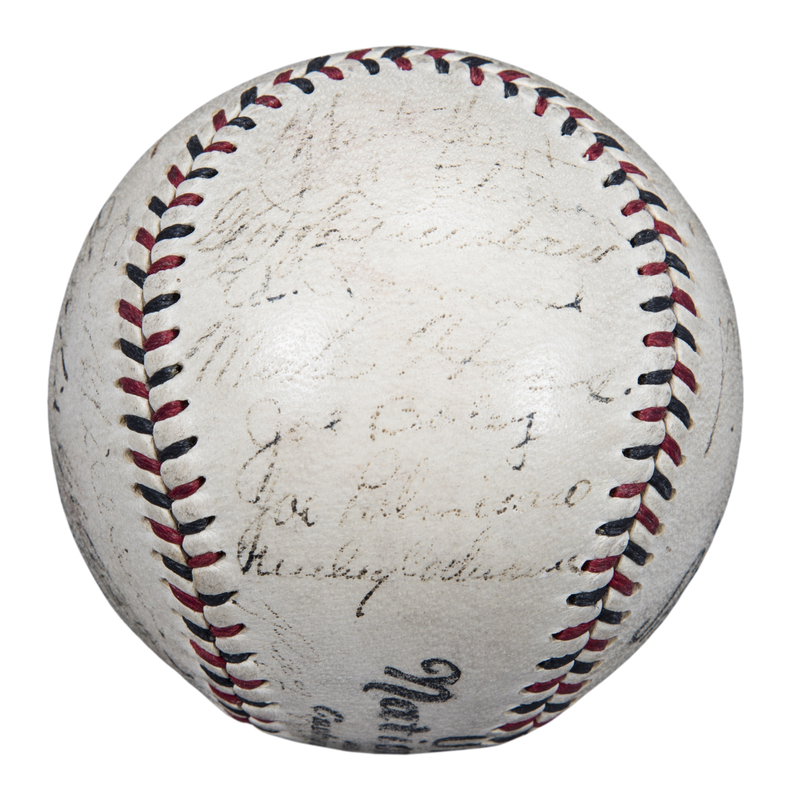 The sweet spot has been signed by Connie Mack and Lefty Grove, while additional Hall of Fame signatures include Jimmie Foxx, Al Simmons, Wait Hoyte, Eddie Collins, and Mickey Cochrane. 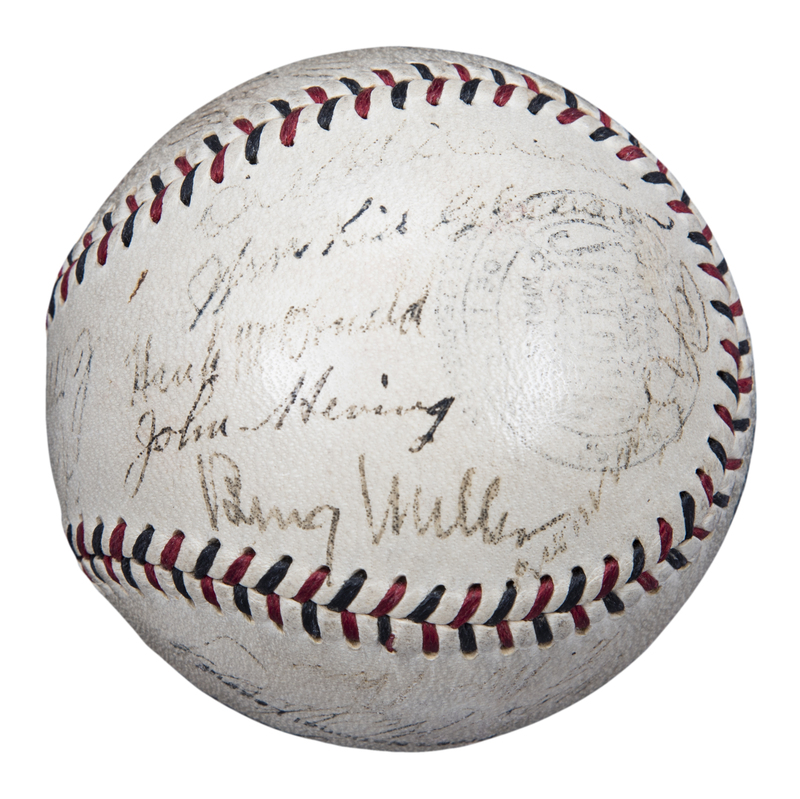 The remaining signatures include Roger “Doc” Cramer, Dib Williams, Hank McDonald, Johnnie Heving, Kid Gleason, Rube Walberg, Bing Miller, Eddie Rommel, Mule Haas, Jim Peterson, Joe Palmisano, and several more. 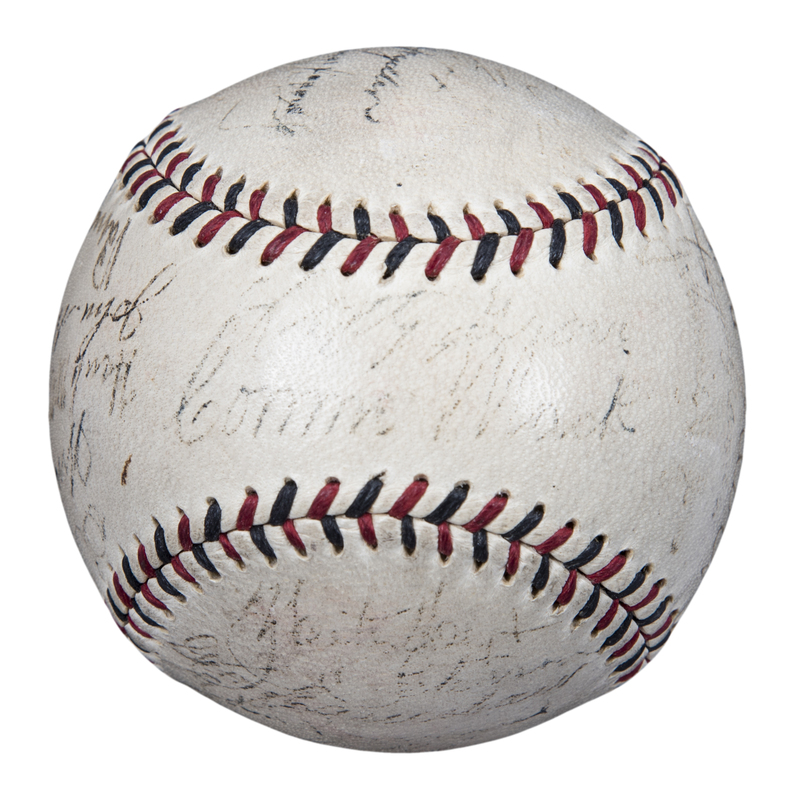 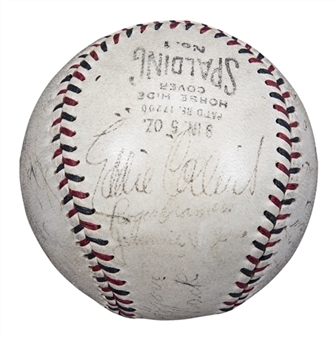 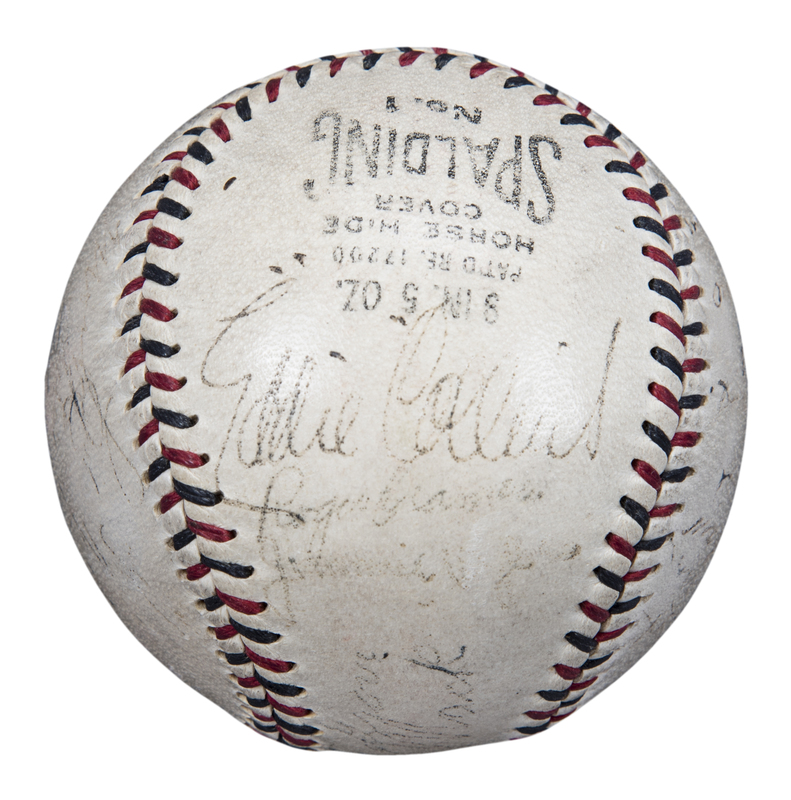 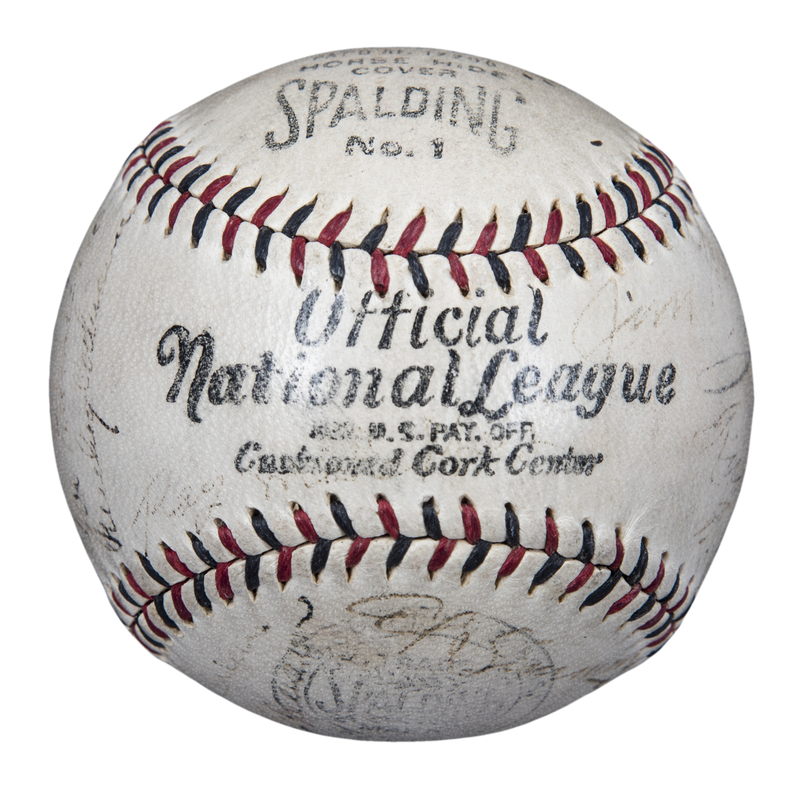 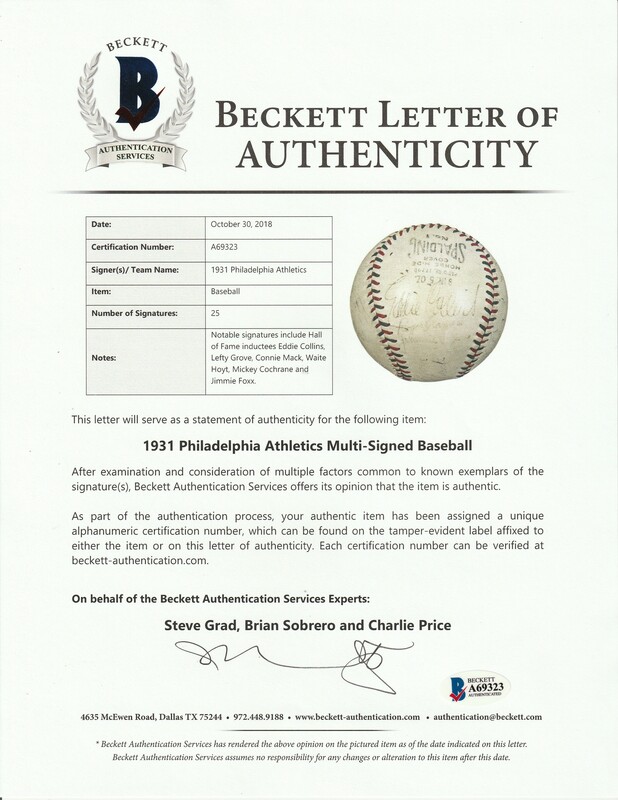 This baseball comes with a LOA from Steve Grad of Beckett Authentication (A69323).